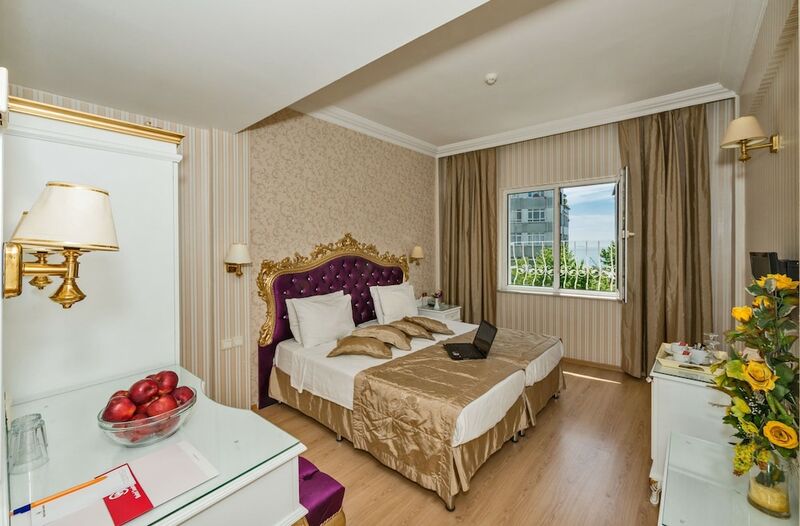 Hotel Santa Sophia is located in a quiet zone of the ancient part of Istanbul. The hotel is within walking distance of many attractions like the Museum of Turkish and Islamic Art, the Column of Constantine, the Hippodrome and the Blue Mosque. The hotel is an excellent departure point for making a tour around the city, due it's also close to traditional markets and Turkish baths. These rooms have a classic and elegant decor. Each room features facilities like a double bed, air conditioning, minibar, safe, direct dial telephone and private bathroom with hairdryer. These rooms are more spacious than the individual and provide all its facilities, in addition to a large double or triple bed (according to your needs), a living room that overlooks a beautiful courtyard garden. The hotel also has a restaurant that offers a wide range of typical dishes of Turkish cuisine. The internet is free and available in all areas of the hotel (also in rooms). You can enjoy quiet reading moment on the terrace or in the garden. The reception is open 24 hours and offers additional services like car rental, currency exchange, babysitting, laundry service, ticket to tourist attractions, tourist information and airport transfer.